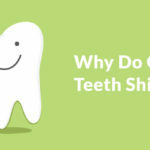 Third molars, commonly known as wisdom teeth, are the final set of molars that grow in around the time people are in their late teens and early twenties. Third molar growth is different for everyone. Some people will never grow third molars, some will have the third molar grow in with little to no complications, and others will experience pain and discomfort. 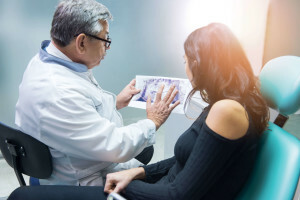 While everyone experiences the growth of their wisdom teeth differently, a few common symptoms include pain, bad breath and taste, earache, swollen gums, and swollen glands. 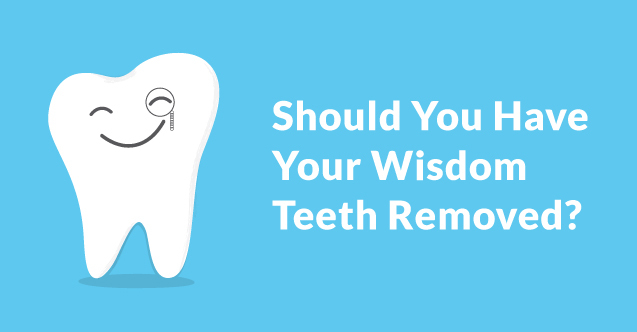 The best way to prevent symptoms and further issues is to have your wisdom teeth removed. Wisdom teeth can cause major issues when given the chance to grow in. Everyone is different, but for many people wisdom teeth can cause infections, cysts, and even damage to the other teeth in your mouth. There are several different ways wisdom teeth can emerge from your gums. Wisdom teeth can fully grow in without complication if your mouth is large enough to accommodate the extra set of teeth. Wisdom teeth can also be impacted, meaning the teeth begin to grow in crooked. Impacted wisdom teeth cause problems such as infection and extreme pain, and it is best to have them removed. It is not always necessary to remove wisdom teeth. If you believe your wisdom teeth are growing in, talk to your dentist about whether they should be removed or not. Having your wisdom teeth removed is not a long process. The procedure time will vary depending on how many teeth are being removed. Typically, procedure time will be about an hour to an hour and a half. Before the surgery, you will be put under anesthesia and have the option to be sedated. Sedation is not required, but it is recommended. Anesthesia helps to numb the area of the extraction and blocks some of the pain during the procedure. 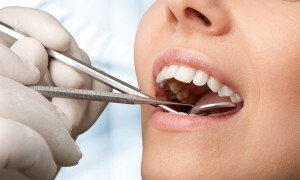 Your dentist or oral surgeon will then make an incision in your gums and remove the tooth. After removal, the surgeon will clean the area and stitch the wound closed. If you are sedated, be sure to have a reliable person with you such as a family member or a close friend to make sure you get home safely. Recovery is extremely important after having wisdom teeth removed. Without proper recovery, dry sockets may occur. Dry sockets develop when the blood clot that forms to protect the bone under the extraction site becomes dislodged. 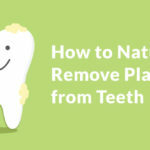 Your oral surgeon will advise you on how to properly care for the area in which your wisdom teeth were removed and how to avoid dislodging the blood clot. Wisdom teeth extraction is not the most pleasant experience, but it is sometimes necessary for your health. If you are experiencing any symptoms of wisdom teeth coming in, give Bonaventure Dental Care a call at 225-283-8545. Dr. Bonaventure and his staff are ready to help you figure out the best way to handle your wisdom teeth. Keeping your smile beautiful and ensuring you're on the right path to optimal dental health is our mission at Bonaventure Dental Care. 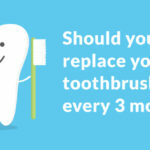 Whether you need a routine cleaning, a filling, teeth straightening, or more, you've come to the right place. 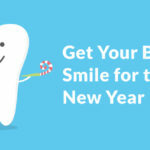 Copyright © 2019 Bonaventure Dental Care. All rights reserved.